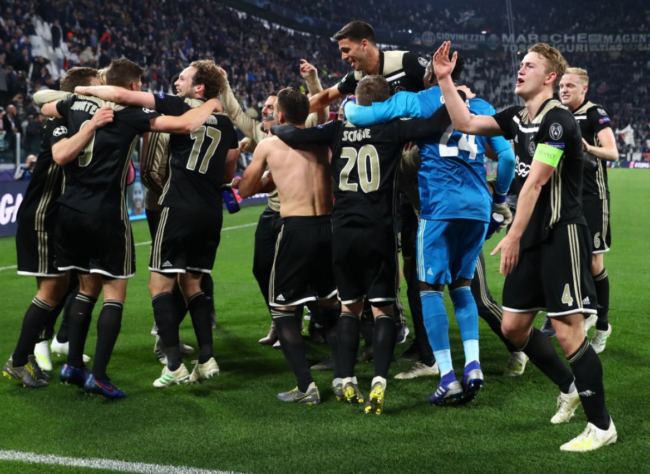 You probably can’t name their coach but AFC Ajax are into the Champions League semi-finals after putting paid to Juventus on Tuesday night. You may recall that Juve invested €100million in acquiring the 34-year-old from Real Madrid in a calculated move to bolster their chances of conquering their ‘always the bridesmaid’ curse and actually winning the Champions League. Shame. After being sent tumbling by Daley Blind and his rag-tag group of academy graduates, the Portuguese forward will miss out on the semis for the first time since 2009/10. With Ajax and Barcelona sailing through in style, it’s nice to see Johan Cruyff’s legacy all over the latter stages this season. Football played the right way will always prevail… sometimes. Now Man Citeh can be the only side to ever reach the Champions League final without facing at least one major footbaling force (Lyon, Hoffenheim, Shakhtar, Schalke, Tottenham and Ajax). A walk in the park on a sunny day. Most Europa Leagues and FA Cups (oops, they only played against League Two sides in the FA Cup) are tougher than this. Congratulations to Ajax footballers and fans.